Budweiser's "Puppy Love" by Anomaly was the most viral ad of the 2014 Super Bowl. Is it the Super Bowl or the Ad Bowl? Viewership of the pinnacle of the NFL season has been relatively flat for the last few years, yet the price of an ad keeps going up, up, up. This year advertisers are coughing up about $4.5 million for a 30-second spot, according to the NBC Sports Group, compared to an average $4 million last year, a boost of 12%. Yet the number of people watching the Big Game has hovered around 110 million since 2011, per Nielsen. With such a discrepancy in growth, could the Super Bowl ever lose its ad magic to other sporting events? For marketers, the Super Bowl’s most obvious draw is that it is one of the rare live televised events that almost everyone watches at the same time. Yet price tags for 30-second spots on other popular sports broadcasts are a lot cheaper. In the 2014 NFC Championship game, a 30-second ad cost $1.95 million, according to Kantar Media. And it goes down from there. This month, an ad on ESPN’s inaugural College Football Playoff Championship ran about $1 million, said sources. Last year, a spot on Sunday Night Football ran a little more than $600,000 and on Thursday Night Football, it was nearly $500,000, according to a Variety survey. For the 2014 MLB World Series, an ad cost about $520,000, per Advertising Age. The real reason for the hefty Super Bowl ad prices is the marketing and PR muscle promoting the game’s commercials before and after the actual event, marketing experts said. Advertisers pay for impressions, but they also get a mountain of buzz, said Tom Bernthal, CEO of Kelton. "Leading up to the big game, people talk about what ads they’re excited to see. Monday morning is more about the funniest ads than the longest passes." Innumerable TV, print and online outlets — from personal blogs to USA Today’s Super Bowl Ad Meter — rank, rate and replay the ads. 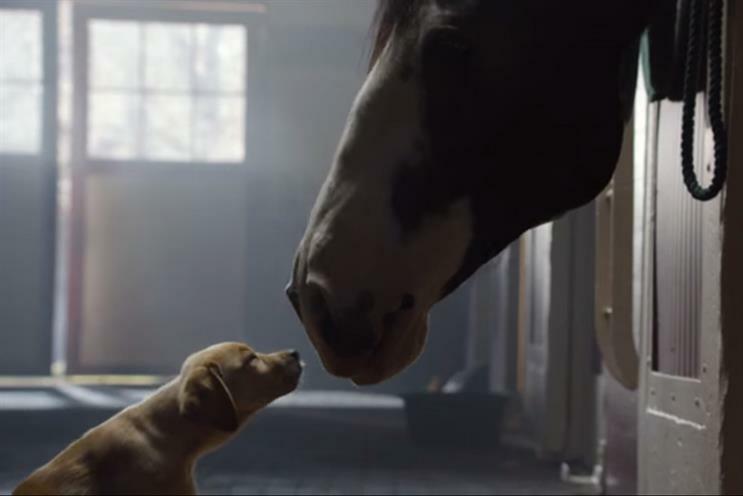 Budweiser’s tale of a puppy and a Clydesdale won the popularity crown last year, for instance. The Super Bowl audience’s viewing experience, "which moves seamlessly between the game and these 30- or 60-second [advertising] shows, is totally unique in sports broadcasting," added Kevin O’Donnell, senior partner at brand consultancy Prophet. Other sport events could potentially grab some of those marketing dollars by stressing sponsorships over individual in-game ads. In last year’s World Cup, for instance, Coca-Cola, Johnson & Johnson, Hyundai, Nestle, and other U.S. brands shelled out $75 million each for 451 TV commercials and hundreds of quick mentions, per Globo, the Brazilian TV network that aired the games. In fact, when it comes to global sponsorship deals, the English Premier League of professional soccer clubs has already outshined the NFL. In 2013, the EPL brought in $1.1 billion in sponsorship revenues compared to the NFL’s $1.07 billion, per Deloitte and IEG, a sponsorship consultancy. Chevrolet, for example, is paying about $560 million for a seven-year sponsorship of the EPL team Manchester United that started this season, according to the team. Overall, North American marketers spent about $14.5 billion on sponsorships last year, up 4 percent from the previous year, according to IEG. "As more marketers drive positive ROI by integrating their digital and sponsorship efforts, sponsorship revenues should expand," IEG reported. Another way for sports events to steal some of the Super Bowl’s ad magic is by connecting better with diehard fans. International networks of passionate sports fans have a language of memes and GIFs — bite-size pieces of social media content — that function like online repartee, explained a McCann rep. Sports properties can help brands interact with these fans. In this vein, videogame giant Electronic Arts has integrated itself into the conversation among NFL fans with the Madden GIFerator, a library of GIFs that football fans can customize before sharing on social media. The Super Bowl has clearly elevated the role of a TV ad — "no other program gets as much coverage of the 20 percent of airtime that’s paid as the 80 percent that’s unpaid," Bernthal said. Other sports could grab some of that Super Bowl ad magic by working harder on the rest of the marketing puzzle.